You Remember The Hungry Kid That His Parents Let Die Of Hunger? He Just Had His First Day Of School! In Africa, there is often a ritual of mistreatment that can even be used to torture children called "wizarding children". These often ill-founded beliefs accuse these children of embodying evil in all its forms. Disabled, albino, young orphaned or even gifted, all pass and suffer the hell of these medieval beliefs. Most often, these children are rejected by their families and driven out of their homes, leaving them at the mercy of famine, disease and most often death. Unicef said in its report that this phenomenon is becoming more alarming as the number of children accused of witchcraft increases considerably. It affects Nigeria, Liberia and Sierra Leone. Boys make up the majority of victims. According to these African beliefs, these children have an evil and invisible power that can cast a spell on those around them, manifesting itself in serious diseases, including AIDS and the death of family members. They are also wrongly accused of attracting unemployment and poverty to the family. These children considered as "bad luck" are expelled and thrown to their lot in the hell of the street. Pastors considered as prophets claim to have the power to exorcise the evil that gnaws the child by various means, going through starvation to total torture by burns to the body with candles or by administering to the child toxic plants to externalize the disease with vomiting and diarrhea; not to mention other methods of torture even more atrocious. These children are often left to fend for themselves and may resort to drugs, exploited and poorly paid work or illicit up to begging or prostitution. 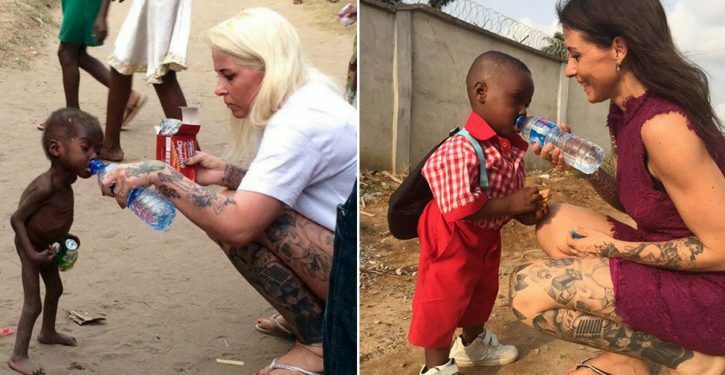 In January 2016, Anja Ringgren Loven, founder of the African Children's Aid Education and Development Foundation (ACAEDF), recovered a 2-year-old child wandering the street, completely emaciated, hungry and on the brink of decrepitude. This little abandoned child had to provide for herself on her own to survive. He was victimized like so many others by false beliefs of witchcraft. 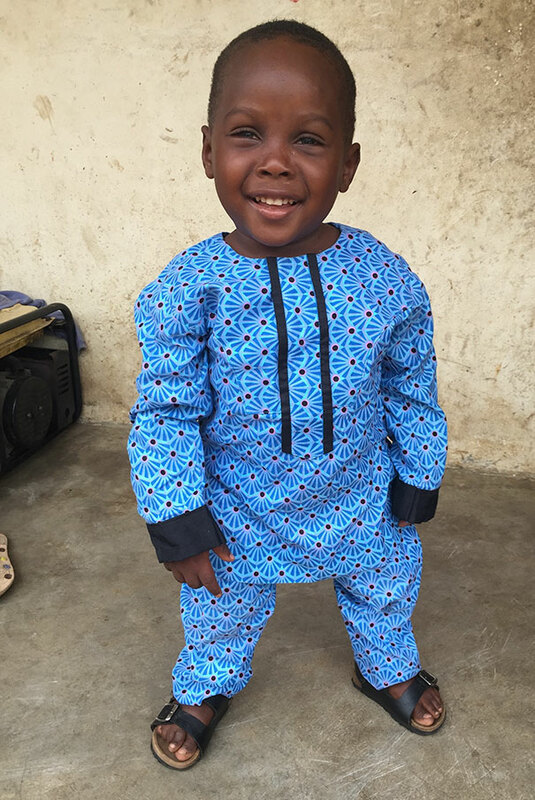 This child was automatically taken care of by Anja and transported him to the hospital for intensive care and blood transfusions by incorporating red blood cells into his body. We can say that Hope had guardian angel, this woman came from heaven. 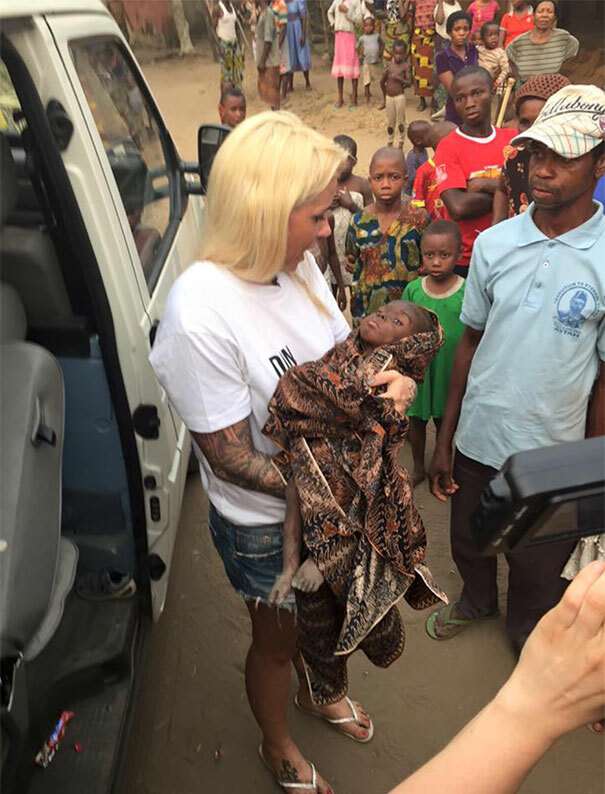 Following the release of Hope's images with her rescuer, the association received a $ 1 million donation from around the world to save this unfortunate little child. 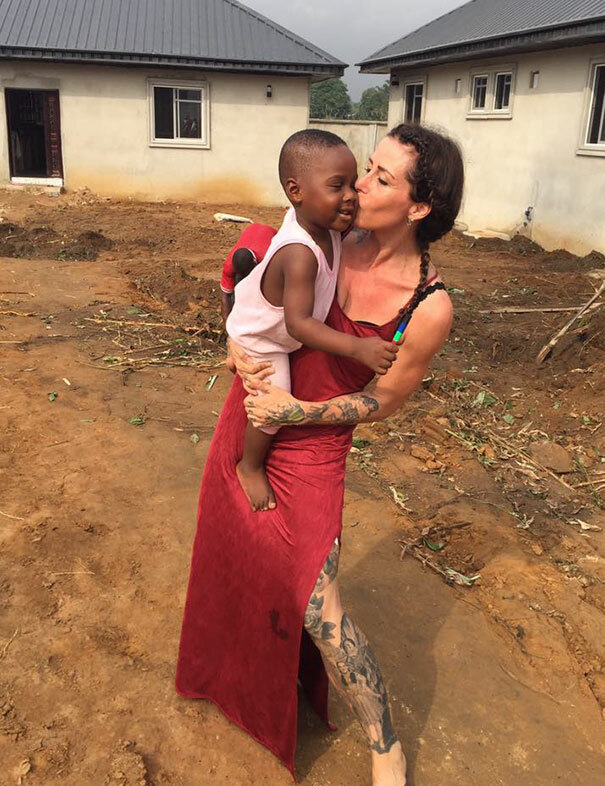 In addition, this donation allowed Anja to set up an association to help maltreated children called wizards, to build a medical clinic and to save these children from torture. 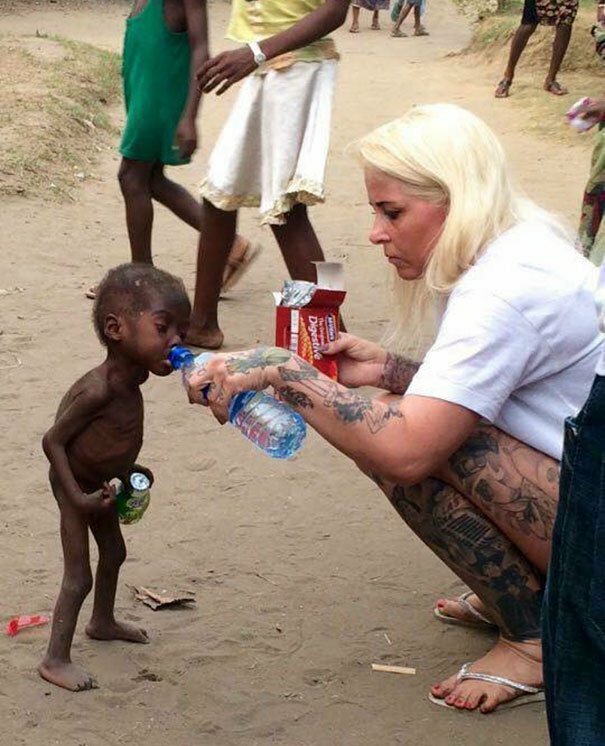 But the greatest humanitarian gift was the kindness and empathy of Danish Anja who garnered the greatest merit. Today, Hope grew up normally and started to integrate the school in the orphanage created by the Danish and her husband. Whatever the practice of these rituals, the consequences are often terrifying. These victims are often stigmatized, abandoned, discriminated against, abused, tortured and often killed. Such physical or mental violence constitutes a violation of the rights of the child as stipulated in the Convention on the Rights of the Child. Faced with this situation, NGOs including Save the Children regularly intervene to protect these child victims of violence and abandonment. Raise public awareness of its beliefs and its impact on children and their education about the rights of the child. Conduct a dialogue with religious representatives to combat the abuse of these children. These representatives are the main influencers and can convince the population by religious arguments. 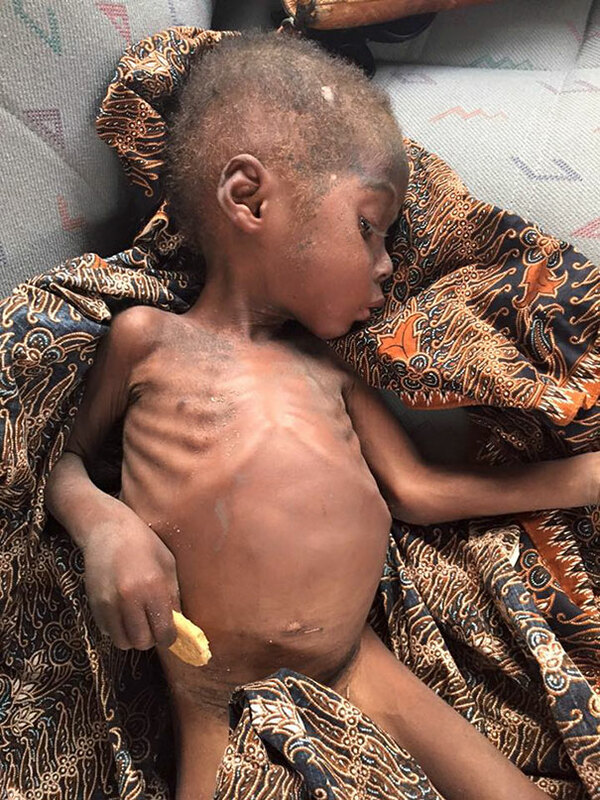 Savvy Life Mag Plus: You Remember The Hungry Kid That His Parents Let Die Of Hunger? He Just Had His First Day Of School!